If you first saw these three people, two in the foreground and one woman in the background, then your attention to detail is incredible. You pay attention to nuances when others don’t even know they exist. You observe minutely (people, places or things) and there’s hardly anything that can go past you without catching your attention. You are the sort of person who is extremely good at planning things to the last detail and one may even say that you are obsessed with details. The point is: you are a detail oriented person and you would rather know things intimately than superficially. Illusion #3 – Optimist Or Pessimist? 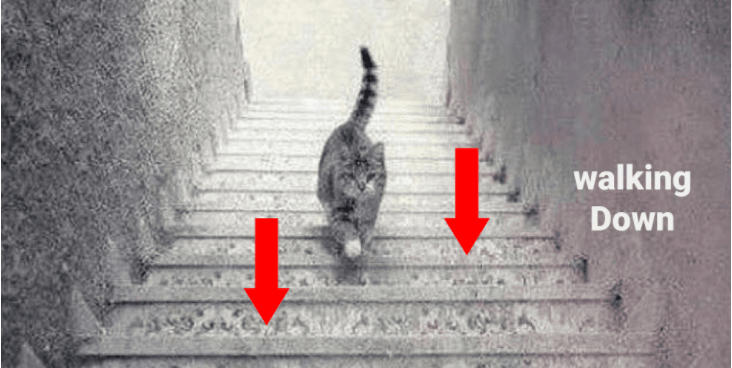 This illusion is one of a cat on the stairs. 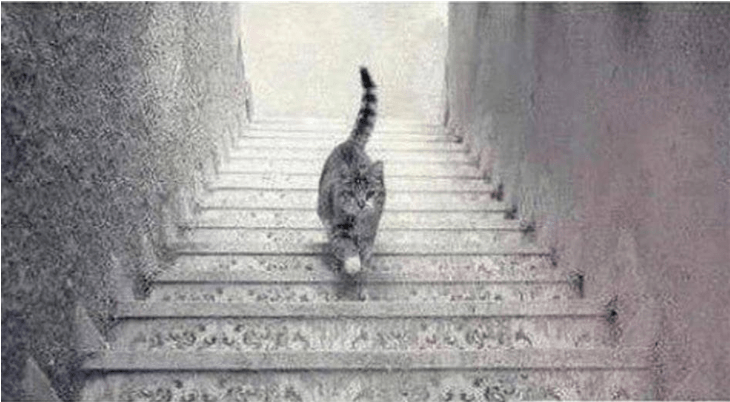 There are two ways of looking at it and the beauty of this illusion lies in the fact that the cat may appear to be either going up the stairs or down based on your perspective. If you felt that the cat was coming up the stairs, chances are that you have an optimistic view of life. You see potential and you see growth wherever you look. Your mind has been trained to look at ways of rising higher in life, so given a situation where you have the choice of rising higher than others or falling to their levels, you would inevitably be the better person. There are clear signs of ambition in you and no one, except yourself, can stop you from going higher in life. 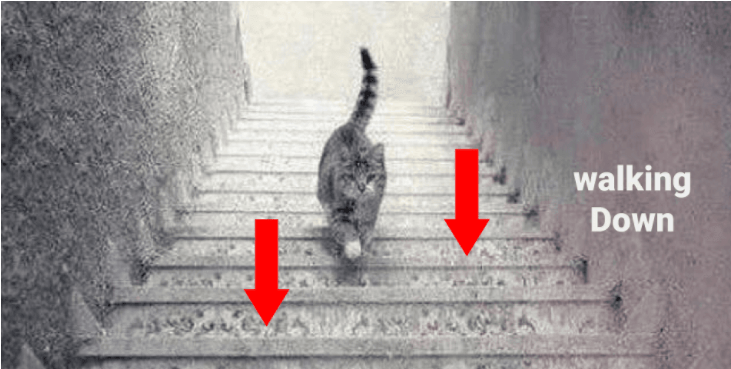 If you observed the cat walking down the stairs, you have a personality which is slightly on the pessimistic side. You are a skeptic, to be honest. It may have been based on your experiences in life or just because of the sort of people you may have met that tilted your view of life towards the negative side. But this means that you don’t trust easily now, you calculate before you commit and you are wary of people who seem too sweet. It may just be your way of tackling the world but you are much sharper and shrewd in your dealings, making it almost impossible to trick or deceive you. 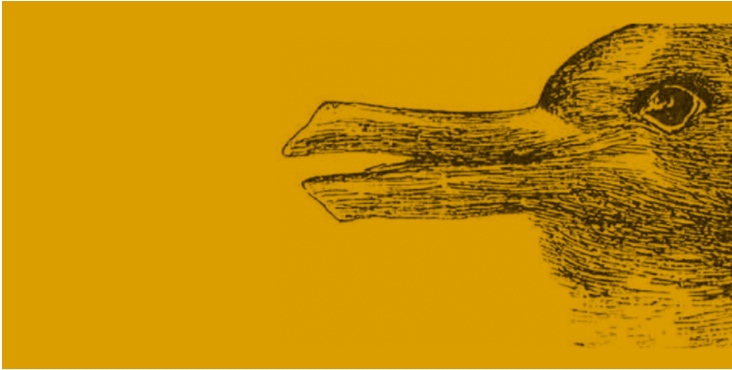 Illusion #4 – Spontaneous Or Thinker? 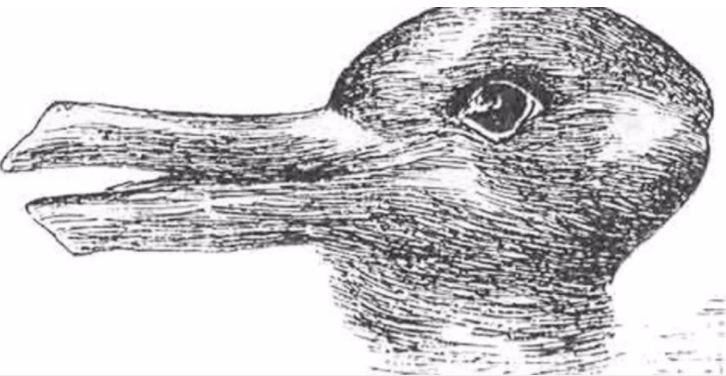 This image is designed to reveal two animals which are different in their characteristics and the one which caught your attention first would reveal the way your mind works. Are you the spontaneous one who acts quickly or the thinker who takes their time? Rabbits are quick, alert and always on the move. 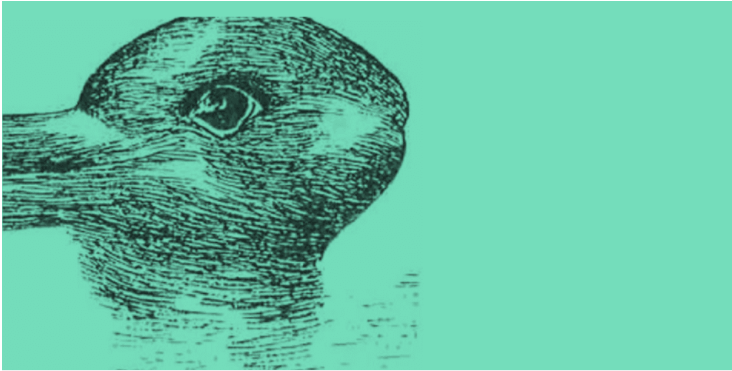 If the rabbit is the animal you saw first, chances are that you are a person with quick wit and irresistible charm. You are spontaneous and can act in a jiffy when the moment comes. You are always alert, ready to respond and quick on your feet. You have qualities of people who are good with sarcasm and you have an excellent sense of humor as your mind processes things much quicker than the rest. You are not the one to dwell on your past but the one to live in the moment, giving all you have to everything you do.